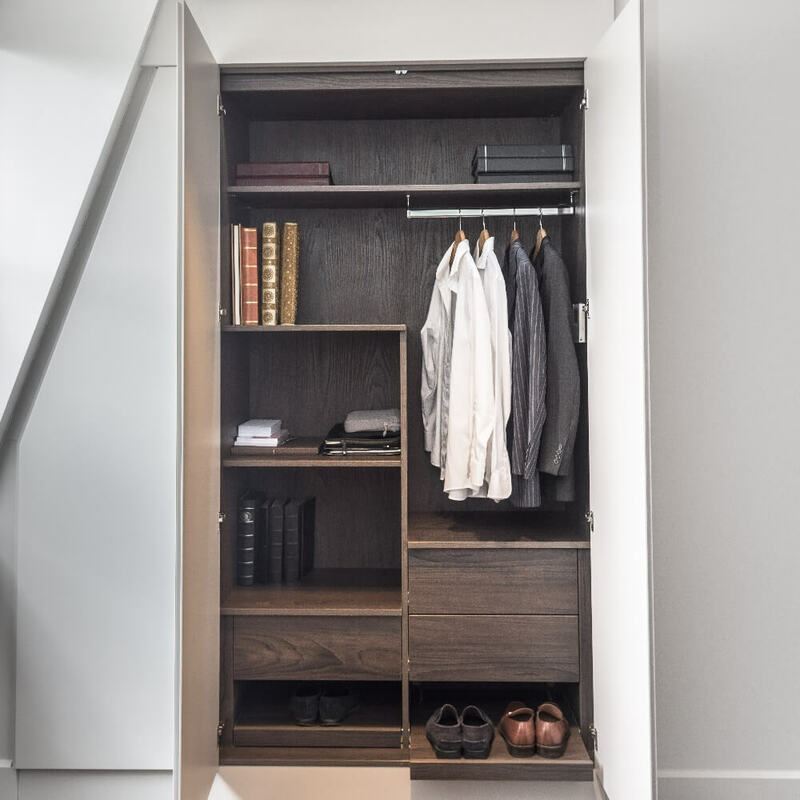 Made to measure fitted wardrobe with clever storage solutions including roll out shoe shelves. 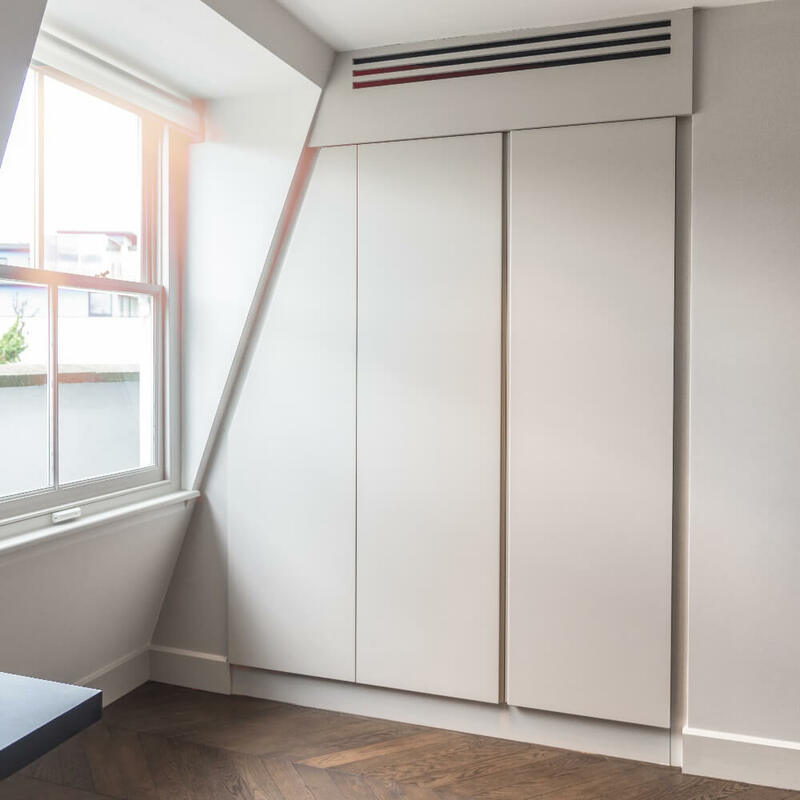 The fitted wardrobe has been made to fit the awkward angle of the attic ceiling. Bespoke furniture for the bedroom is a great idea if you are wanting to achieve a certain look or you have awkward angles or limited space. With the variety of materials and finishes available, anything is possible. 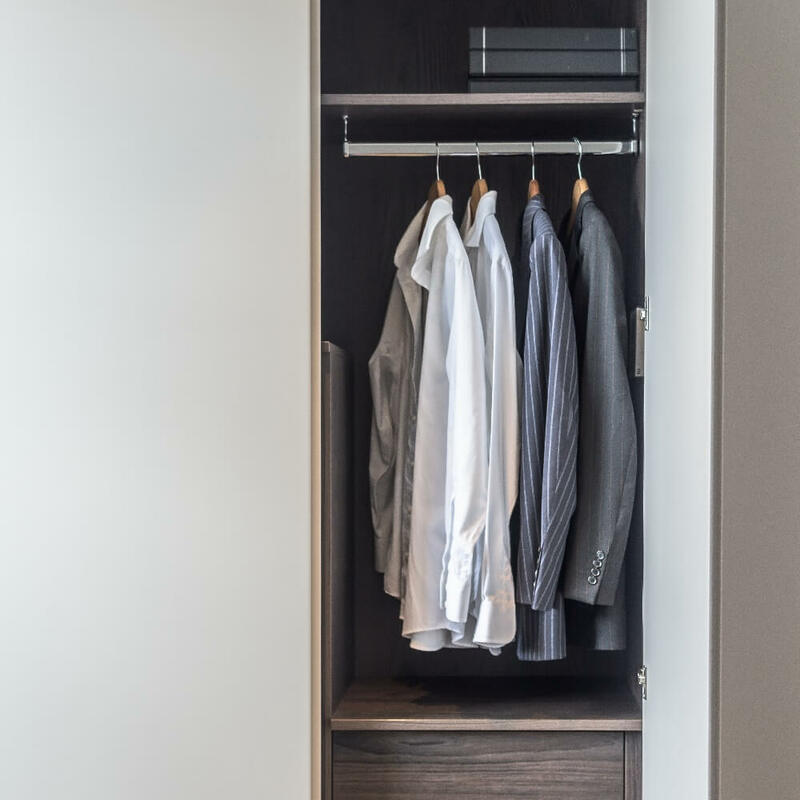 We have lots of ideas to create a minimalist look within a bedroom with the introduction of storage space, roll out shoe shelves and stylish design.